Many patients simply have dentistry that has outlived its intended life. 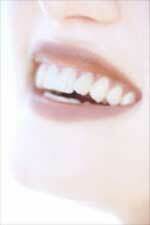 Dentists Bondi Junction are primarily concerned with the health of our patients teeth. Cracked teeth and leaking, worn out fillings compromise the health of ones mouth. By replacing old fillings and cracked tooth structure with Porcelain Inlays or Porcelain Onlays, we are able to achieve a conservative restoration, saving all the healthy tooth structure that remains. A strong piece of porcelain is fabricated and bonded onto the tooth, for a natural looking restoration that strengthens the tooth unlike silver, mercury fillings which actually weaken a tooth and frequently cause teeth to fracture.